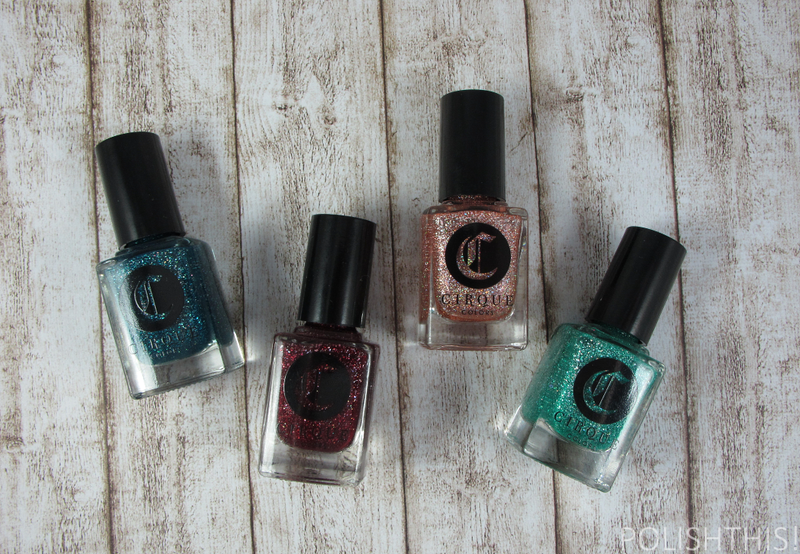 Cirque Colors Facets Collection - Swatches and Review - Polish This! 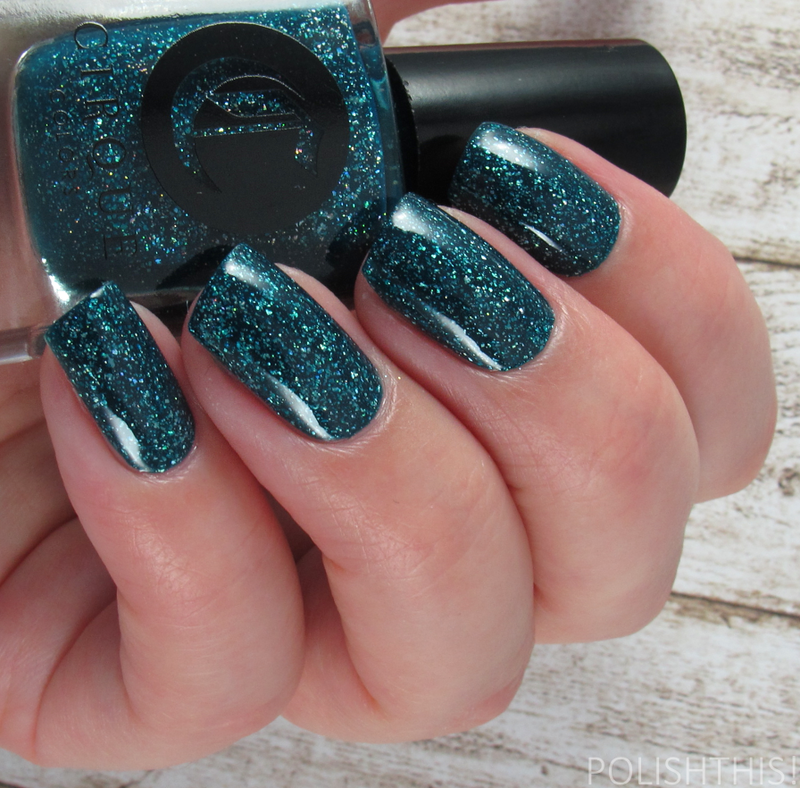 Dioptase is a highly pigmented blue-toned teal jelly creme with holographic flakies. I did two coats here, but this is really a one-coater. Formula-wise I have no complaints, it was so easy to work with. 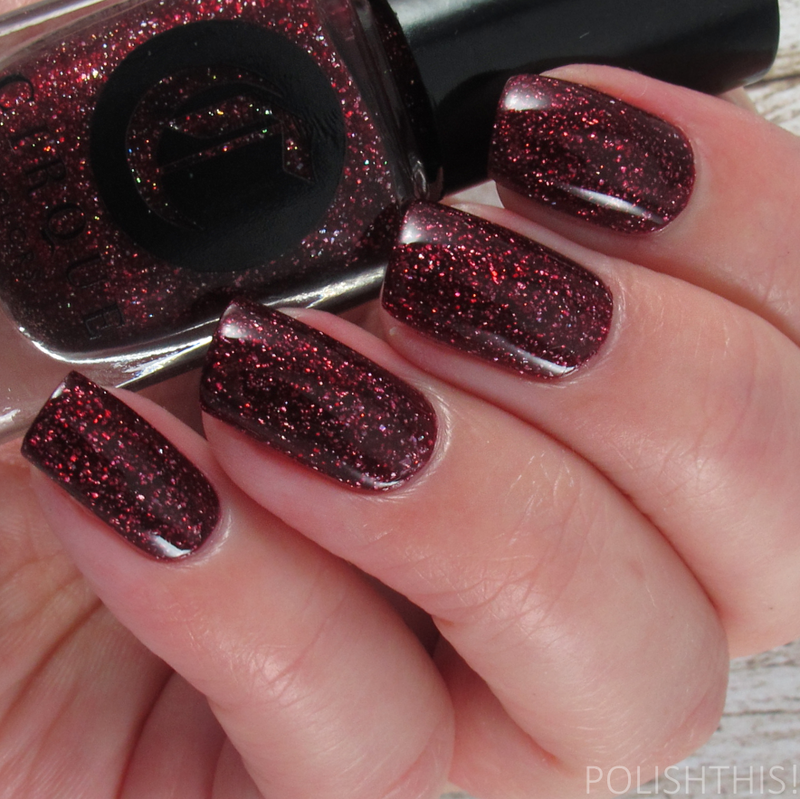 It's a stunning darkened shade, perfect for the fall/holiday season. I've been head over heels in love with these type of shades for quite a while now, so I knew I would love this one and I surely wasn't disappointed. 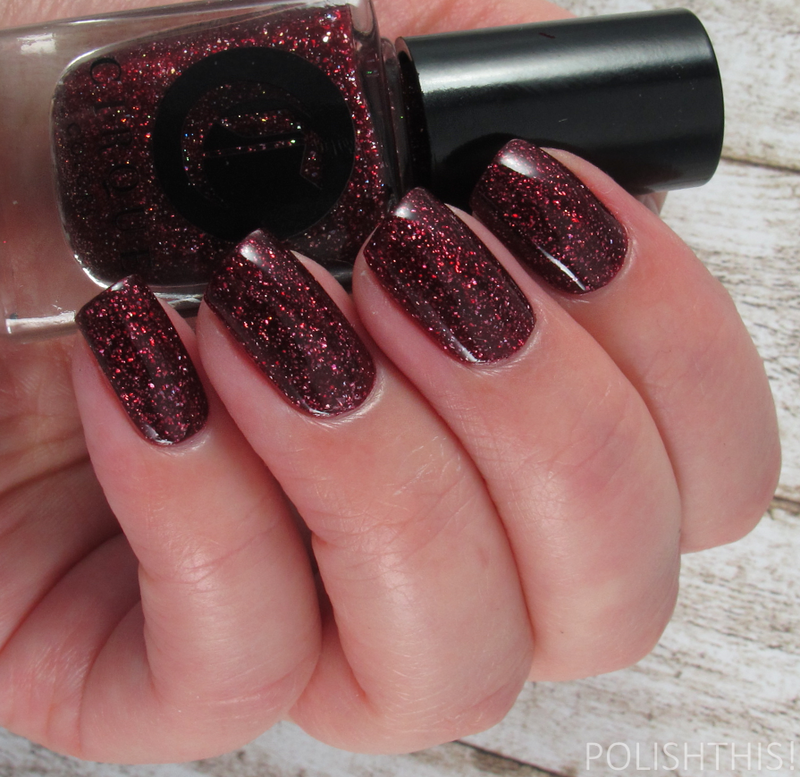 Garnet has a burgundy jelly base with holographic flakies. I was a bit worried that this would be too red as I don't wear reds that often, but this is perfect darkened burgundy, so it's not too bright. I used two easy coats here and again the formula was great, I had no problems what so ever. Even if I wasn't so sure about this shade when ordering it I've been loving it ever since I got it and I've actually worn it two times already: first just the polish alone by itself and another time when I used it in a nail art look. 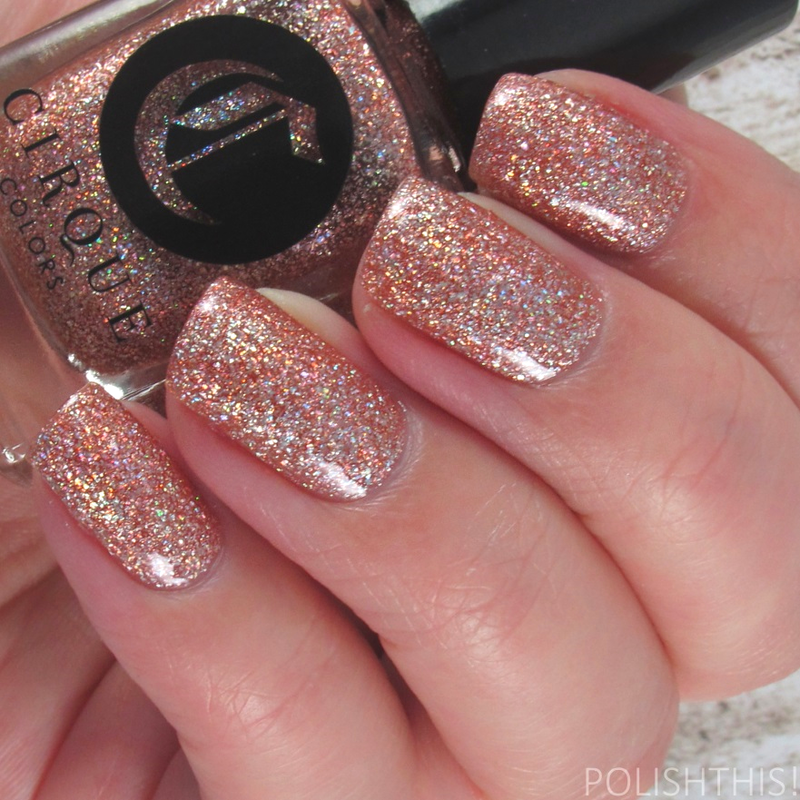 Morganite is a peachy copper jelly with holographic flakies. 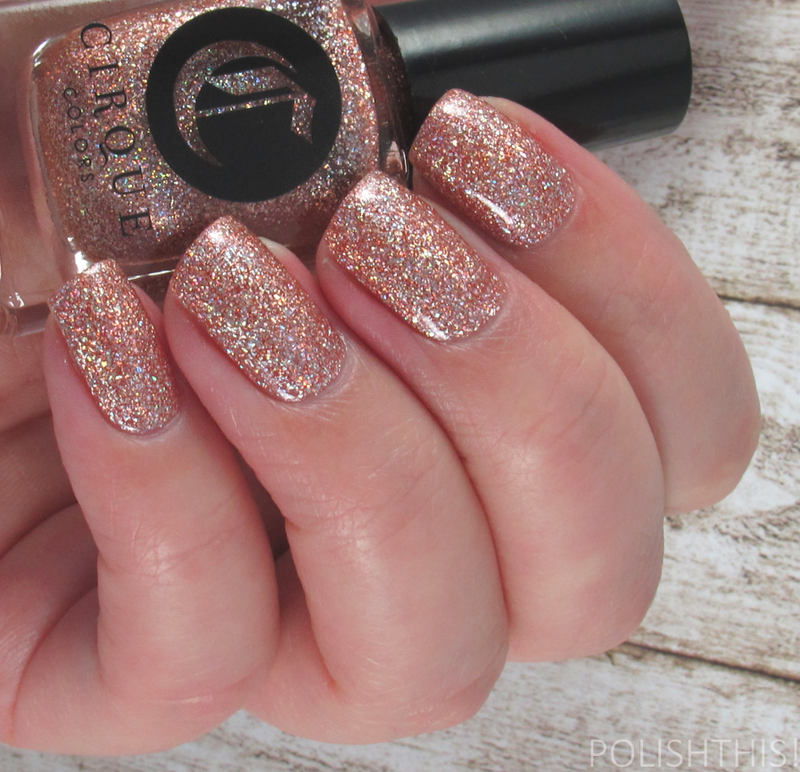 This was the shade that intrigued my interest at first, it looked such a perfect neutral-ish shade with the extra oomph of the holographic flakies. I thought it would be an awesome shade to wear to the office, it's neutral enough not to pop out immediately, but you still get that awesome holographic sparkle. And I wasn't wrong, it is just the perfect shade for my skin tone! I used three coats here, though you can probably get away with just two coats. It is the sheerest out of these four due to the light base color, but the formula is pretty perfect like with the others. Paraiba is a cyan-green jelly with holographic flakies. This one looks quite turquoise in some pictures, but it's more green leaning than straight up turquoise. It's a gorgeous bright shade that is perfect for every season. It's opaque enough with two coats, but I did three thin ones here just to be safe for the pictures. Again the formula was perfect and I have no complaints. It's definitely my kind of shade and I'm sure I'll wear this one a lot. I have just one word for this collection: stunning. All these four shades are just more beautiful than the previous one and I just couldn't pick any favorites here as I fell in love with every single one of these. I literally don't have anything bad to say about these, they're just perfect. My only wish is that Cirque Colors will make more polishes like these with some different shades. I'd definitely buy those! Those holo flakies give such a gorgeous depth to all these shades, I could just stare them all day long. These are limited edition shades, but they seem to be all available right now at cirquecolors.com and you can find them from the different retailers as well. I think one or two or even all of these would be perfect stocking fillers for yourself or for anyone who loves beautiful nail polishes. Any on of these would be perfect for those holiday nails. No niinpä! Nää on kyllä todellakin toinen toistaan upeampia! Wow, these are amazing, it's like you have crushed gemstones on your nails! Great swatches and photos like always. These truly are amazing, I love every single one of these!